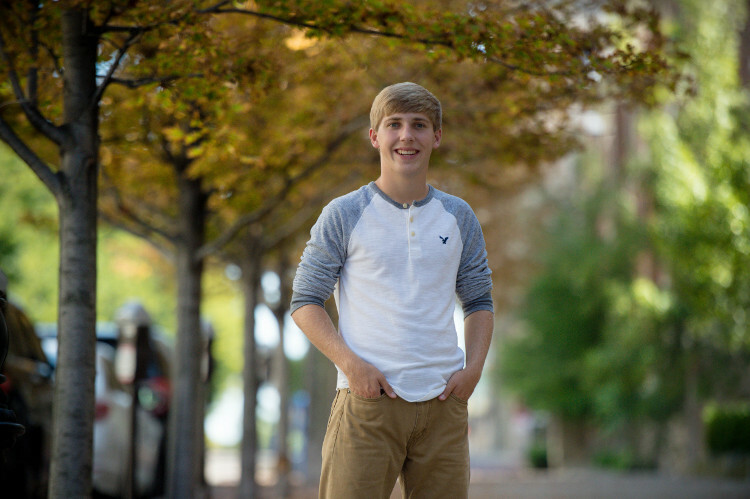 I am always excited when it comes time for athletes to schedule their senior photos. 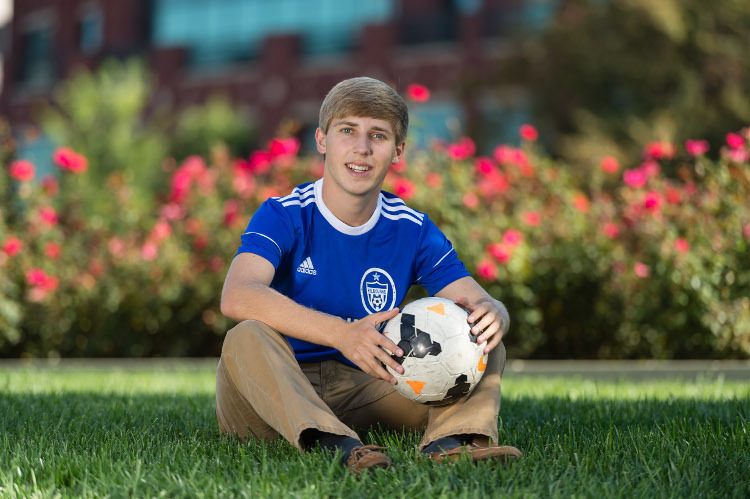 I have enjoyed photographing Derek on the soccer field at Worthington Kilbourne High School for 4 years. I have gotten used to the way he moves on the soccer field and have captured some fabulous action shots of him during his high school soccer career. 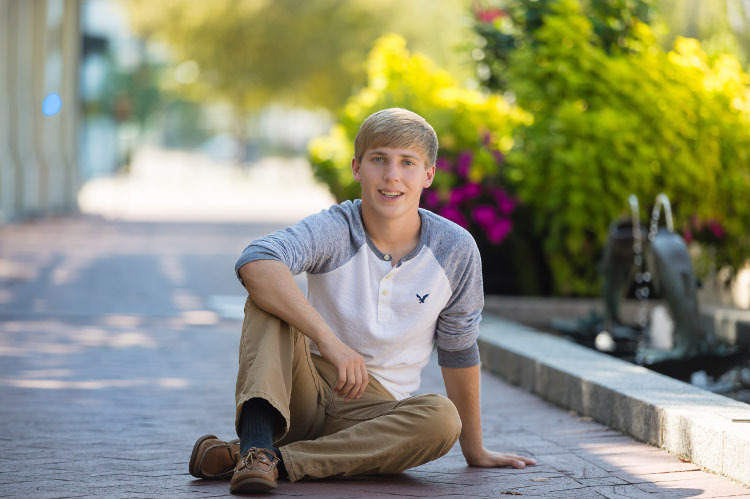 While I loved photographing him as a soccer player, I was excited to take his senior photos off the field and capture other aspects of his personality. Derek did not disappoint me! The first surprise for me was what he chose to wear. He appeared wearing a pink shirt and khaki shorts. LOVE the color combination! It spoke volumes to me about his confidence and maturity. The next surprise for me was his willingness to don dress pants, shirt and tie AND a sweater when the temperatures were above 90 degrees. He was not only willing – he smiled all the way through it! 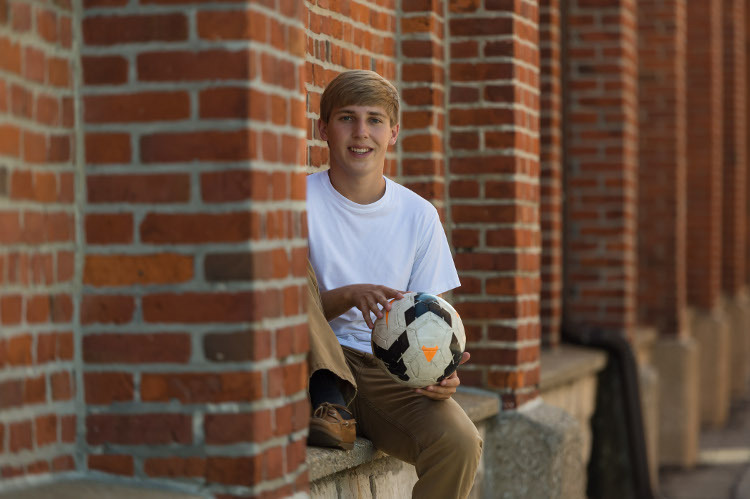 Of course, we had to capture some soccer player images since soccer has been a huge part of Derek’s high school experience. Handing him the soccer ball immediately put him in a soccer player frame of mind. I love seeing him in his comfort zone! 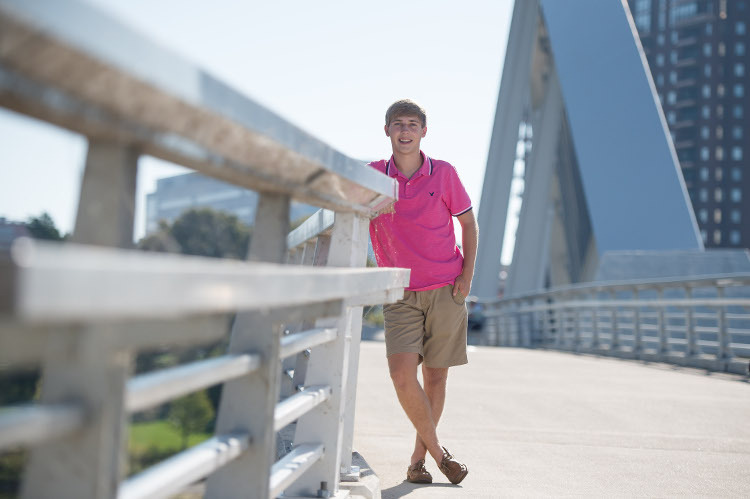 As many times as I have taken senior photos on the Scioto Mile, I love finding new backgrounds and textures that appropriate for my client. We enjoyed walking the streets of Downtown Columbus and found plenty of spots to highlight Derek. 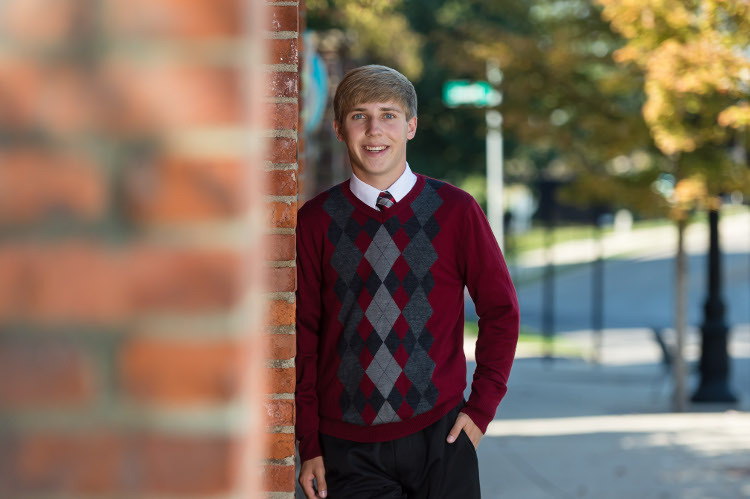 Thank you, Derek and parents for choosing Caught My Eye Photography for your senior photos! If you are interested in seeing more of Derek as a soccer player or are interested in sports photography, please check out my sports page!